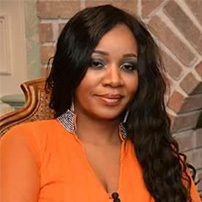 Maureen Mbondiah is the founder of Womanhood Global an organisation that seeks to Empower Educate Equip from disadvantaged communities Globally. Recently her organisation successfully held a fundraising dinner which generated income to purchase over 10 sewing machines for women in rural Africa to be self sufficient. Other fundraising projects include Womanhood Global Magazine which was launched in Jan 2016 as a business entity of the organisation the magazine is a Community Business and Health magazine which seeks to provide a platform to inspire women across the globe through real life stories. She is an entrepreneur who runs her own recruitment health agency in the United Kingdom and clothing boutique Moskloset. She is also an Author for a the Book of Inspiration for Women with over 300 women from across the world. She has extensive experience in the health care sector in UK with various roles at both practitioner and management levels in NHS and Private Health Organisations. She has a desire to empower women across the globe with empowerment and educational workshops allowing them to be self`sufficient and reduce poverty. She says “I have a burden to boost the confidence of women who find themselves in helpless situations of despair, lack, poverty, and discouragement. I believe bringing women from across the globe despite their race,color or background together with one voice is the start”. Through Womanhood Global I believe we can tackle poverty handout mentality and equip women to be self sufficient.